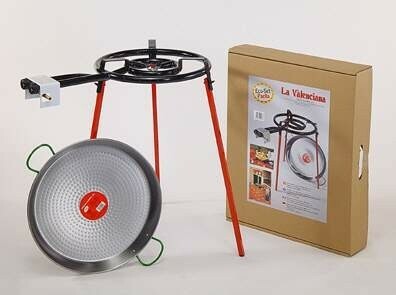 A complete paella set from Spain. 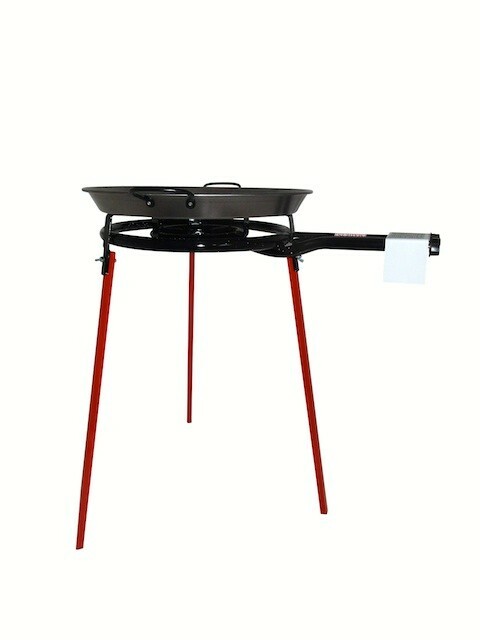 The easy-to-carry box contains a 46 cm paella pan, a 40 cm two ring gas burner and a stand. 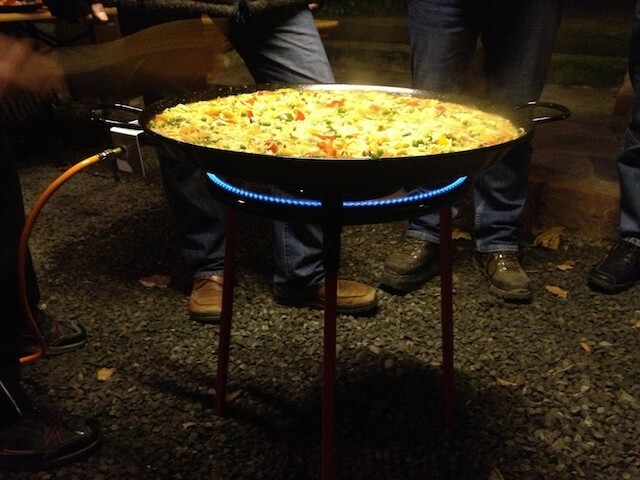 Home-made paella? 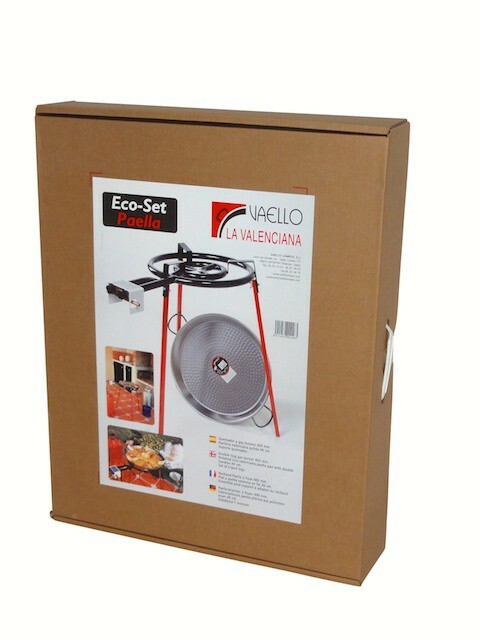 We can supply you with an original Vaello paella set from Spain, with gas burner, stand and paella pan practically packaged in a box with carry handle. 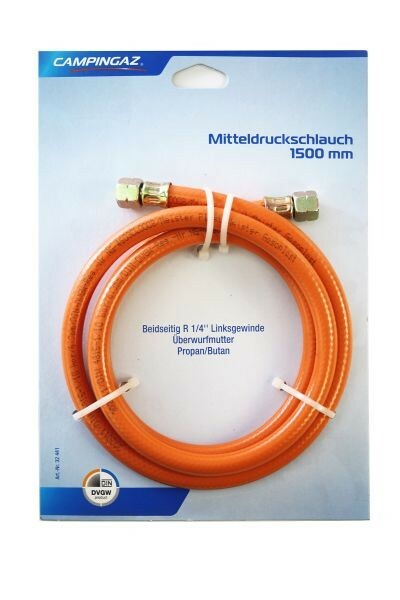 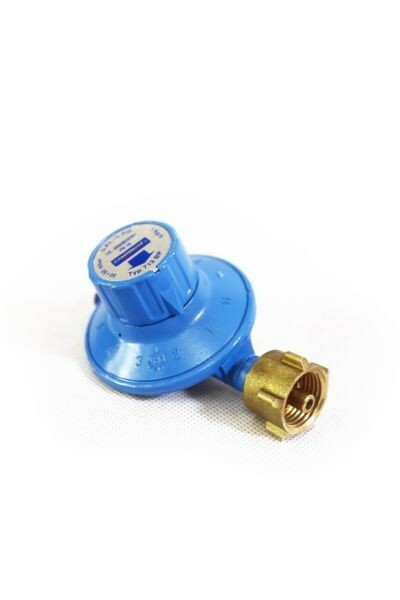 Deliveries within Germany are complete with the appropriate screw thread for connecting the DIN standard gas hoses. 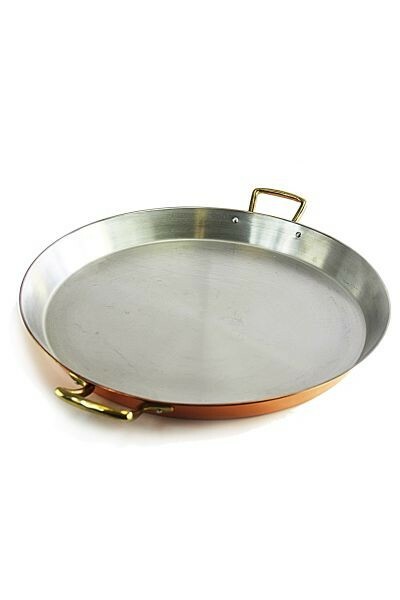 The complete paella set for double convenience. 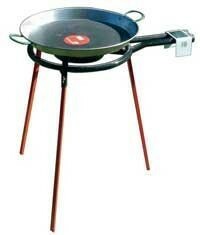 You can fry and cook on the two-ring burner even using other cooking utensils than the included 46 cm paella pan. 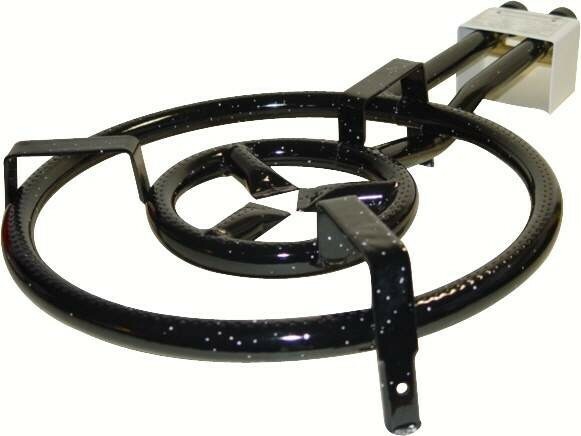 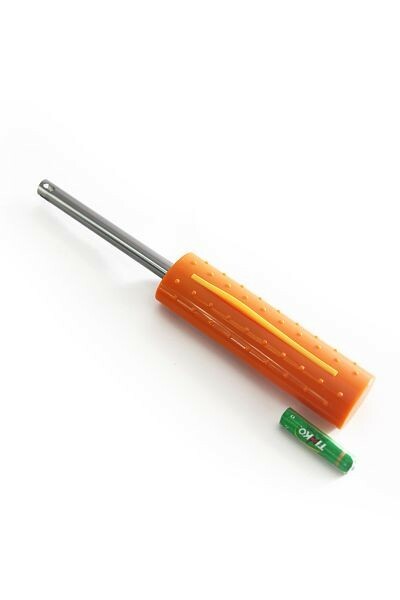 The burner is tailor-made for all parties or barbecuing - or as we use it, for heating large distillation equipment. Thanks to the high stand and the accompanying paella pan you can also cook a real Spanish paella wherever and whenever you want to. 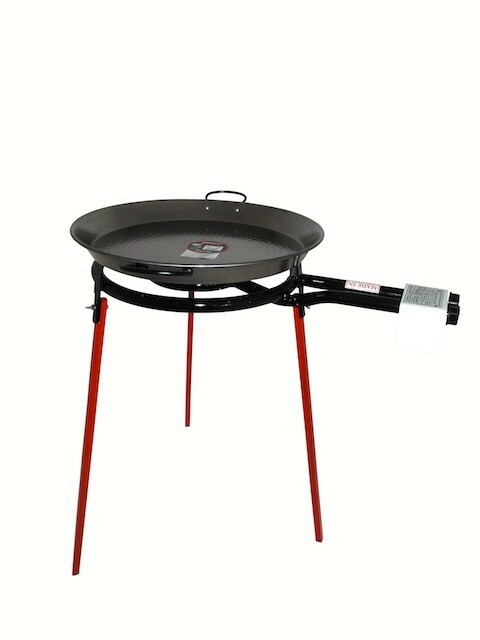 Of course, you can also fry, barbeque and cook all kinds of other things - not only paella! 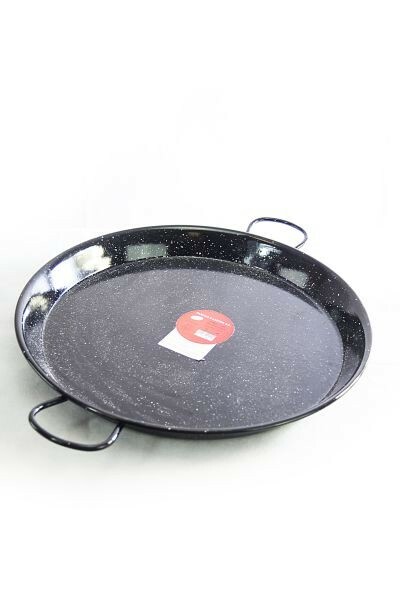 Our offer here is the larger version which has a two-ring burner of 40 cm in diameter and a matching paella pan with a 46 cm diameter, for a maximum of 12 people. 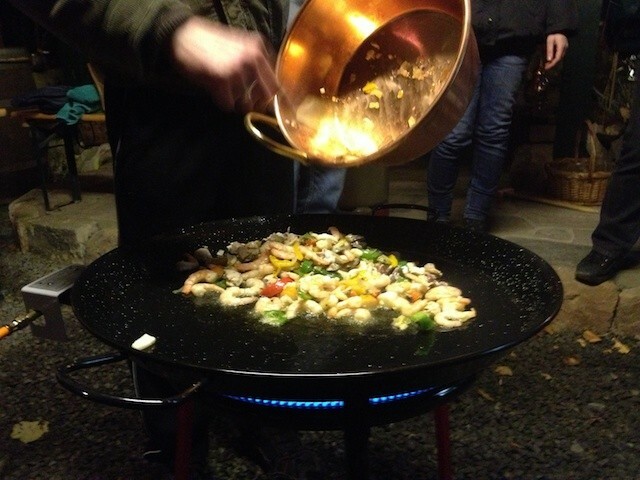 Some of the pictures were taken of our team cooking a winter paella!